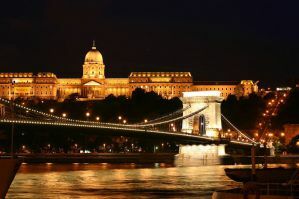 Budapest has become a top destination in Europe for all types of travelers. If you're on a budget and want a party, then there are no shortage of hostels to choose from. The city's popular nightlife and affordable prices make it an easy choice if your goal is to have a good time without breaking the bank. 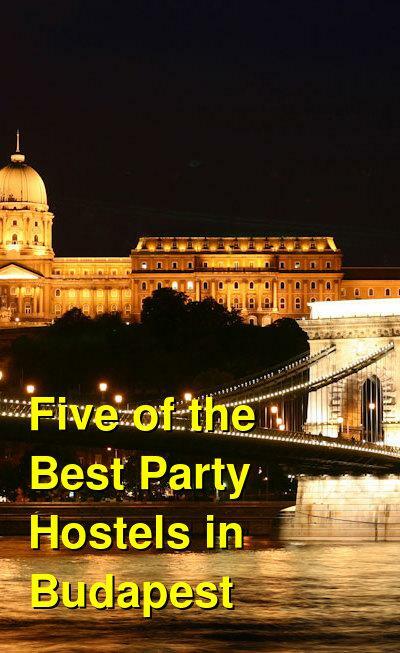 Below is a list of some of the most popular party hostels in the city. Many are well known and fill up quickly, so reservations are recommended, particularly if you're traveling with a group. How much do hostels in Budapest cost? Retox Party Hostel has long been a favorite for party-goers to Budapest. It makes no effort to hide it's reputation, and if your goal is to drink into the night then this is your place. There's an on-site bar with cheap drinks, a crew of staff to support your endeavors, and plenty of like-minded guests to hang out with. The hostel is well located in the heart of Budapest's downtown. It's near many of the city's best nightclubs and is accessible by public transportation. The atmosphere of this hostel is fun and social. Whether you're traveling alone of with a group of friends, it won't be long before you've found some drinking companions. The staff are always fun and keep things interesting, and there's even a late check out time, so you can sleep off your evening's activities. Carpe Noctem Original Hostel has been a long time favorite for budget travelers who want to stay somewhere with a social atmosphere at an affordable price. It's the perfect option for solo travelers who want to make some new friends, but it's also a fun place for small groups who want to enjoy a relaxed and fun atmosphere. The hostel is a well known option in the city, and it has a great reputation, so reservations are recommended. There's a shared kitchen that all of the guests can use, and any amenities that you might need. There are no hidden expenses so you won't have any surprises. The hostel is conveniently located just a short walk from the House of Terror, Oktogon, Szechenyi thermal baths, the city park, Andrassy Avenue, St Istvan's Basilica, Freedom Square, the Danube and parliament. It's also easily accessible by public transit. Carpe Noctem Vitae is a slightly more relaxed alternative to Carpe Noctem Original Hostel. Although the hostel still participates in nightly parties, this hostel caters to a slightly more mellow crowd. It's a large hostel, so there is no shortage of people to hang out with. There are a variety of activities available including group dinners and card games. If you're need a good night's sleep, there is typically somewhere quiet where you can rest. The hostel is large, with plenty of common space. There are open mic nights, karaoke nights, parties, pub crawls and more. Grandio Party Hostel is another popular option for backpackers and party-goers who want to take full advantage of Budapest's nightlife. The hostel is well located in the middle of the city's bar district with almost anything you might need in walking distance. This hostel is designed specifically for people who want a party, and it won't disappoint. The staff head out with guests every night for pub crawls, costume parties, party boats, spa parties, and more. There are open mic nights and karaoke as well. Daytime activities including barbecues in the courtyard, hanging out by the fire pit, and drinking games. There are also organized trips to the thermal baths, adventure caving, paintball, and more during the day. Rooms options include private twin rooms and dorms that sleep anywhere from four to sixteen people (and everything in between). The Hive is another great option if you want to enjoy Budapest's nightlife. The hostel is HUGE, with about 300 beds. It's located about 15 minutes from Keleti International train station and is about ten minuts from Deak Ferenc Square. Nearby you'll find a variety of sights including the Grand Synagogue, the Great Market Hall, the Parliament Building and much more. You'll also find plenty of bars right around the corner. There's an on-site bar as well which hosts all kinds of concerts and activities. During the warmer months, there's a rooftop bar where guests can hang out as well. Staff here organize a variety of activities for guests including pub crawls, sightseeing tours, and party boat cruises.